A-FLO is Australia’s leading supplier of high-grade, specially engineered safety products for a range of industries within the country. 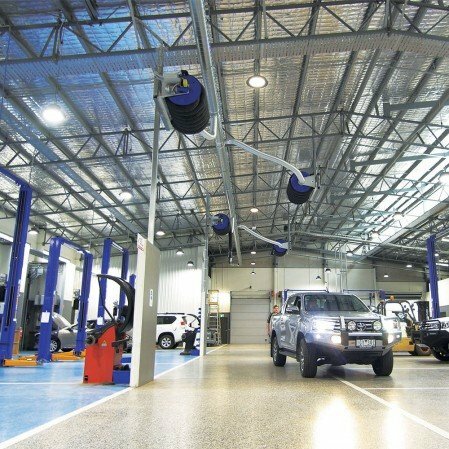 We produce state of the art exhaust gas extraction systems which are imperative for ensuring the safety of mechanics in workshops across Australia. Exhaust gas extraction systems are important for ensuring the safety of mechanics through the dispelling of harmful gases leaked by vehicles during services and repairs. Without an effective system, mechanics are left exposed to these potentially harmful chemicals, thus potentially causing illness and even fatalities if not property treated. We maintain our systems are kept at a highly competitive and affordable price, find out more or simply get in touch with A-FLO to request a quote. New generation diesel engines are now producing 15 to 35 times more small particles than old generation diesel engines. The new generation engines produce more ultra-fine particles invisible to the naked eye! Because of this it seems that the dangers have disappeared, but this is far from the truth. 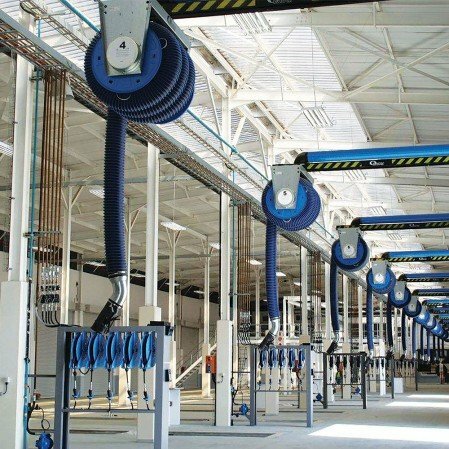 This has become an integral part of any workshop fit out a must have to prevent and protect your operators from any potential health and safety issues this may cause. 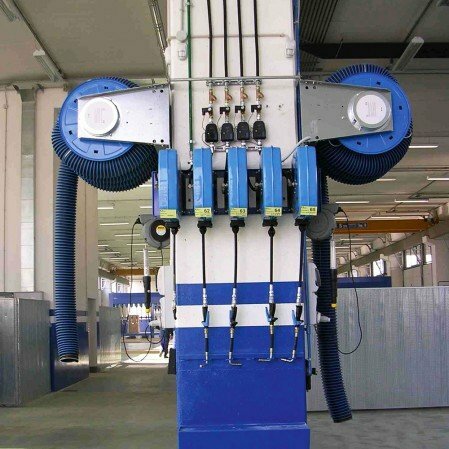 Therefore, it is imperative that you utilise a high-quality exhaust extraction system at your workshop. A-FLO’s systems are efficient and create a far greater standard of safety work mechanics in the workplace. If you would like to receive a quote for A-FLO’s range of superior quality exhaust extraction systems for mechanics, or have any further enquiries regarding this product or our extensive range of other products, feel free to get in touch. We are dedicated to providing a superior level of customer service, in order to help our valued clientele decide on the right product for them. To request a quote, simply fill out the form below, or for further enquiries, give us a call on 1300 235 623 or fill out an enquiry form on our contact page and we will get back to you as soon as possible.